The piaffe is an essential milestone for the high school horse because it demonstrates one of the most fundamental concepts: the divorce of ‘energy’ from ‘speed’. The process of training toward a perfect piaffe compels us to work with our horse to find his balance – the place where the rider feels ‘equilibrium‘ (Baucher). The study of the piaffe greatly improves our ‘conflict resolution skills’ with the horse. It is like couples counseling – except, better, because it really works. The ability to bring your horse to a predictable piaffe (without any use of force) will mark you as an exceptional rider, capable of communicating with a degree of fidelity few horsemen ever achieve. The piaffe is itself an essential gymnastic for building the high school horse’s body. We need the physics of the doux piaffe to effect the gymnastic necessary to develop the piaffe proper – and only work in the piaffe itself will make the piaffe more brilliant and rhythmic in time. There are various schools of thought around developing the piaffe, and techniques vary even within the two (roughly) prevailing houses of school dressage theory. You should understand these approaches even if you have not begun to work at this level: they will make the problems we see in the rectangle and elsewhere make more sense – in fact you should eventually be able to discern which method was used to develop a horse’s piaffe merely by observing the product. La Guereniere promoted use of the pillars and whip to teach the horse the movement from the ground first. Sans pillars, various iterations of this technique can still be seen frequently today – in fact it is quite common. This is the method being applied when we see trainers teaching the horse to shift weight from one back leg to the other on the touch of the whip as a preparation. In my view, this exercise carries much risk in terms of developing a correct piaffe. Wait … did I just disagree with the great Guereniere?! Sacrilege! But, yes, I did. 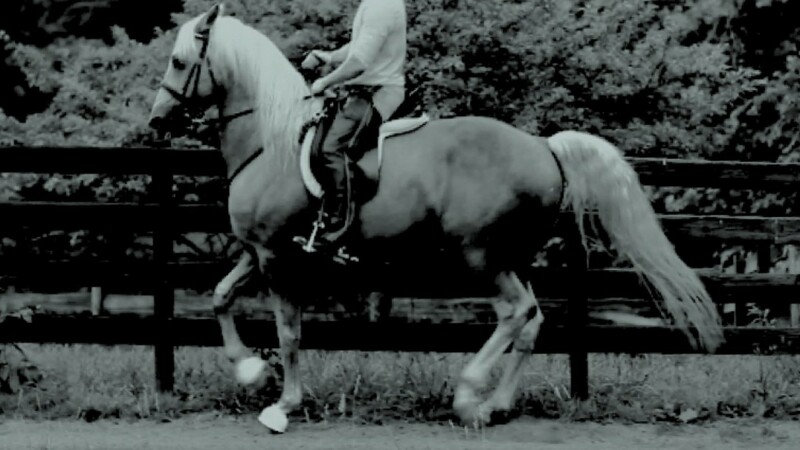 Specifically, this approach tends to produce the disjointed, often front-loaded piaffe we see in the show ring, where the horse shows too much activity with his rear legs, and too little (sometimes quitting altogether) in front. This is possible because the horses are not actually collected. Of course, this is just short of a mortal sin, because the piaffe is about balancing on one diagonal pair (e.g., front right-rear left, then front left – rear right) at a time. We never want the horse to think in terms of “front” and “rear” in isolation – only right and left diagonals. In essence, such horses fail to fully, effectively diagonalize. Failing (in their mind, and therefore usually mechanically also) to actually trot in place, they simply ‘continue to move‘ in place – hopefully in a trot-like fashion. But, for all intents and purposes, the air becomes a trick* – imitating what should be the culmination of an academic achievement – a product increasingly refined communication from the saddle – without really being one, and the difference is visibly palpable. From here, the classical German school – at least according to Steinbrecht, who I think is the best representative – tends to approach the study from a working trot (of course! ), incrementally slowing the gait down over time to, eventually, in place. I’m going to go out on a limb and say, while this method can get there, and, with the right trainer, be shaped into “correct”, it seems to take an unnecessarily long time to achieve even the draft movement, especially given the simultaneous pushing and pulling required to effect it with the German manner, which is non-intuitive to the horse. For this very reason, I suppose, a great many modern “show dressage” trainers resort to supplementing this approach with “the stick” method above. The Latin school – and certainly the Baucherist variant- approach the piaffe by simply increasing the energy of the counted walk (without increasing speed) from the rassembler immobilized, rewarding diagonalization when it emerges to produce a little doux piaffe. This is an early first draft of the final movement which will initially be a bit choppy, and will not initially be in place. Here, there is no risk the horse will mentally separate the activity of his front legs from his rear legs. I have been successful with the Baucherist approach, skipping the ground-work associated with Guerinieres’s method altogether, conducting the entire study from the saddle, using nothing other than hand and legs (no pillars, nor a crop/whip – nor an extra human). The horse must be confirmed in the lessons of the hand, legs, and the combined effect (enabling a true rassembler at the halt), but having done this, the initial doux piaffe has been fairly easy to tease out over a period of one to two weeks (or 1 – 6 lessons). It takes somewhat longer to refine the piaffe, of course, making it brilliant, relaxed, slow, and predictable, with easy transitions to or from any of the other gaits. This is because the horse really needs the gymnastic exercise of the piaffe itself to refine his balance and power on each of the diagonals. As he does so, his piaffe slows; and as his piaffe slows, it also becomes more relaxed, higher and more brilliant. Early on, he will be a little anxious in the movement, which is normal and fine. This is to say, while an initial uncertainly and awkwardness is normal, you should not sense he is becoming overly fearful of some imminent punishment (and there must never be one). We’re going to ride this choppy, early, imperfect version for a few minutes each session – using it as a gymnastic exercise – until he develops more strength and coordination. Should he traverse himself – swinging his croup one way or the other on his own in order to “get around” the hand, we will simply – and gently – keep his head and straight, and gently urge his croup back into position with an opposing leg. Alternatively, should tend to become disunited as a result of looking one direction or the other, it can be helpful to align his body behind his head, vs. trying to reposition his head. We will absolutely ignore James Fillis’s advice to frankly spur his croup back into position. This will only frustrate the horse and scare away the tenuous compliance and concentration we’ve achieved up until this point. We must remember horses are claustrophobes. So the young or new horse is already anxious about being increasingly compressed between the hand and the heel. Any punishment we apply while we’re in this space together can only frustrate our efforts at this point. While it is essential to keep the horse rassembler and moving throughout the course of the work, it is not essential (and usually not possible) that the ramener be absolutely enforced initially. In fact, we should avoid making an issue of this at all at first. To belabor the point: if we try to resolve any conflicts regarding the verticality of his face while he executes his initial, tenuous piaffe-ey steps, he’ll be thrown off balance and lose his concentration too frequently to benefit from the actual gymnastic. With these principles in mind, I encourage you to seek the initial draft piaffe steps – shrinking them as he becomes willing. With regular work (he must be in condition to meet the demands of the movement), the utmost tact and discretion, you will watch this blossom into an increasingly correct piaffe over a period weeks or months, depending on the horse, the frequency of your lessons, and, of course, your tact and skill as a rider. As always, make an effort to progress each session, but don’t rush things. Be satisfied with incremental progress and let the movement emerge from your horse’s increasing dexterity and understanding of the “ask”.